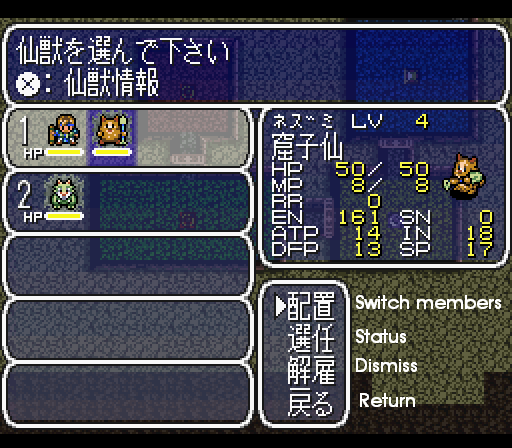 Japanese console RPGs tend to blend together after awhile. There are really only three permutations of the genre, and it’s rare that games venture outside them. 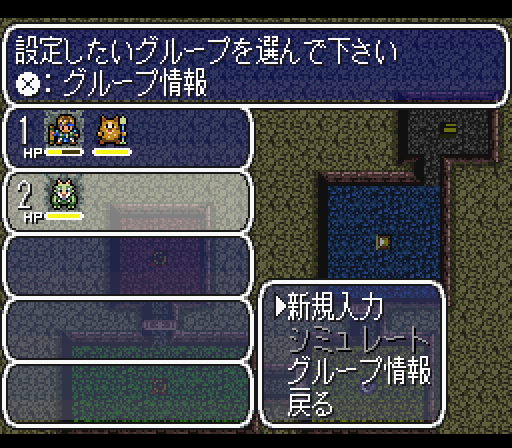 Final Fantasy is Dragon Quest, Fire Emblem is Front Mission, Secret of Mana is Illusion of Gaia. As much as people complain about how games are stagnating today, it’s really just the same as it ever was. 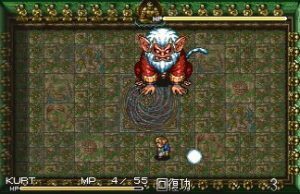 One of the few truly original SNES games was Ogre Battle, a fun little game that combined the real time strategy of PC games like Dune II with the role playing aspects of your traditional Japanese RPG. It had an absurdly low print run, but it garnered a rabid cult following that still demands a new release to this day. 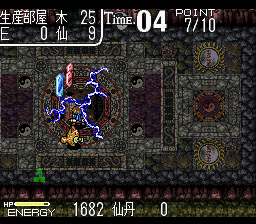 Chaos Seed is not even remotely similar to Ogre Battle, but it shares the same defiant spirit. Developed by Neverland Soft (the guys behind the Lufia series), Chaos Seed very much unique in the land of Japanese RPG clones. If anything, it can be compared to a few Western PC games – the concept of building a town for resources and defending it makes it similar to Crystal Dynamics’ The Horde (yes, the one starring Kirk Cameron), while the dungeon building is a bit reminiscent of Bullfrog’s Dungeon Keeper. 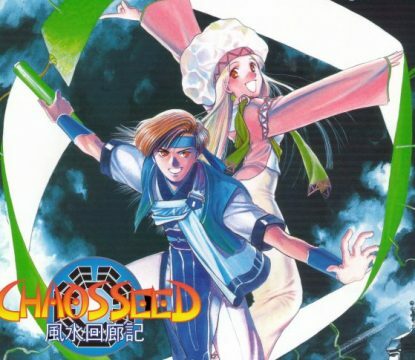 But even compared to those, Chaos Seed is so incredibly unique – and insanely addicting – that it’s damn shame that the game was released twice in Japan (for the Super Famicom in 1996 then in 1998 for the Saturn) but never saw an English release. Now, in Chaos Seed, the land is dying. The soil becomes sterile, crops die, and people are miserable. 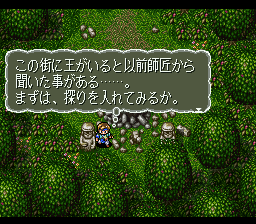 But the solution doesn’t lie in some grand adventure (although it does involve at least one dying spirit tree that you need to revive.) You play the role of a Dousen, a cave hermit in charge of replenishing the lost energy of the earth. In order to do this, you need to build and maintain a cave that produces the life blood of the planet. So essentially, it’s a real-time resource management sim. However, things are so easy for the poor Dousen, because humans misunderstand his purpose. Many think that your shifty little underground dealings are actually the cause of the planet rot, not the solution. Still others just want to steal your energy for their own. So you’re not only managing a miniature factor, but defending it from harm as well. 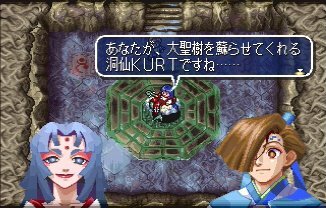 Unlike most sim games, which put you in the role of an omnipotent characters, you’re put squarely in control the Dousen, who controls much in the same way as your standard action-RPG hero. You can run, swing your weapon, or attack with a variety of magic spells. But mostly importantly, you need to build a dungeon if you want to get anywhere. In order to expand, you simply walk up to a wall, tug it, and you can create a whole new room of varying shapes and sizes. While you’re scurrying around, carving out rooms and roughing up interlopers, a timer counts down slowly. When it hits zero, the turn ends, and you’re given a quick break to manage other aspects of your dungeon, like upgrading rooms or setting patrol routes. 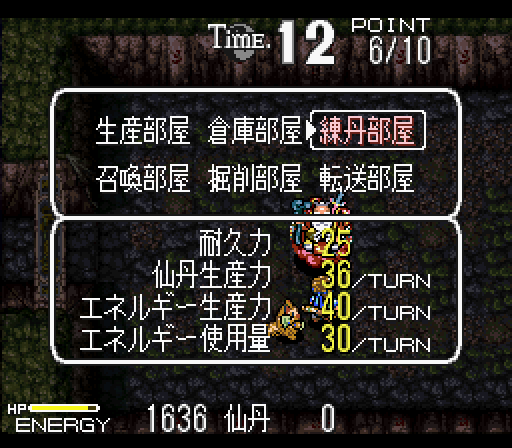 Then it’s back into action for the next turn. There are eight different types of rooms to build in your cave, each serving an important purpose. Perhaps the most critical locations in your dungeons are the Production Rooms. These create Energy, which can then be channelled into the soil to rejuvenate it. In almost every stage, the goal is to harvest a certain amount of energy. However, when you first create a Production Room, the output is pretty low. You can upgrade it to produce Energy faster, but first you need another resource, dubbed “Sentan”. 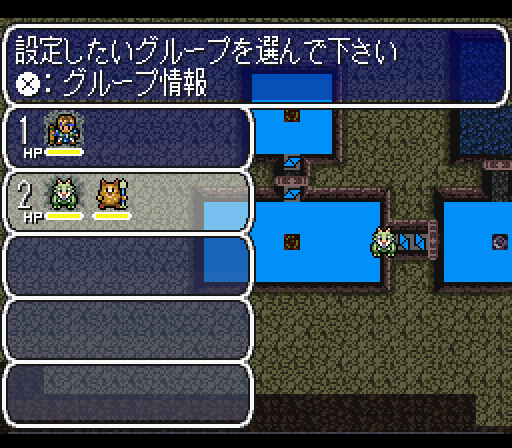 Another room called a Refinery will create Sentan, which allows you to improve various aspects of your dungeon. 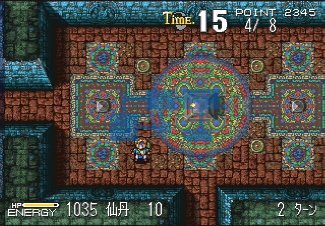 However, you need animal helpers to transport the Sentan throughout the cave, so you also need a Summoning Room to create monsters. Not only do they take care of the busy work, but they’ll also act as patrols against outside invaders. You can even call upon a few of them are partners to run alongside you and aid you in combat. Those are the basic elements of your cave, but there are several more – Surveillance Rooms let you spot the source of intruders; Excavation Rooms will dig up hidden items, which can be equipped on either the Dousen or any of the helper monsters; Warehouses let you store more items; Attack Rooms allow you to build traps; and Teleportation Rooms, which can help you get from one side of your cave to the other. Even though there’s a ton of depth to the game, the process is pretty much the same in every scenario – build room, upgrade room, harvest energy, fight off bad guys, and repeat. 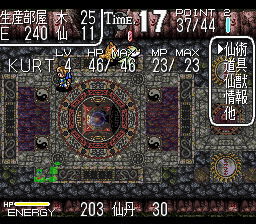 But Chaos Seed never gets tiring because it’s always challenging you to find more efficient ways to run your dungeon. When building rooms, you need to pay special attention to the resources in the soil, which directly affects it’s output. More challenging is trying to wrap your brain around the game’s Feng Shui system. Depending on its location, each room is assigned one of the five symbols of Feng Shui. If you direct the ki flowing into and out of rooms in a certain way, you’re granted access to even more impressive upgrades. It’s a little bit hard to understand, and more than a little intimidating, because Feng Shui reminds me more of Martha Stewart books than challenging strategy games. It’s never necessary, although it is helpful, and ensures that no matter how well you think you can make a dungeon, you can always do better. This is all more than a bit complicated, so there’s a pretty long tutorial scenario to teach you the ropes. 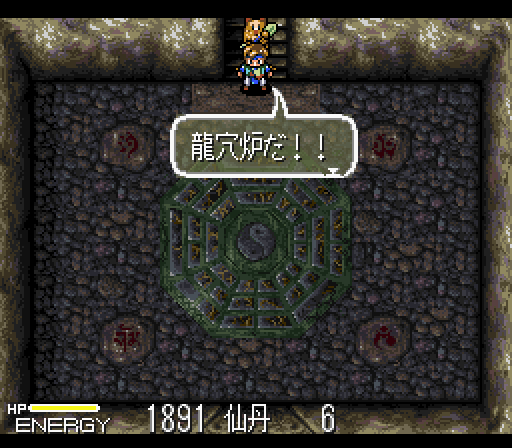 After that, you’re thrown into the first true scenario, where you need to build a cave on your own. 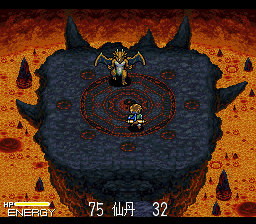 However, once you’ve raised enough energy, you’re challenged to a battle by a mysterious dragon. Before getting killed, you’re saved by your master and transported, simultaneously, into several parallel dimensions. Each scenario takes place in an alternate timeline, most of which have the same characters, but all have some slight differences. 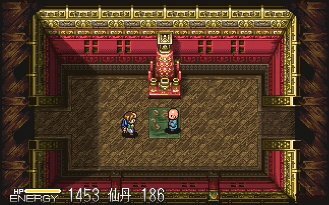 It’s a fascinating concept, especially with the unique ancient Chinese settings. Each scenario also ends with a credits sequence, which feels a little bit strange, because it feels like you’re watching an ending sequence for every level you beat. Some of the scenarios have multiple endings, depending on certain conditions, and are all made for incredible replayability. 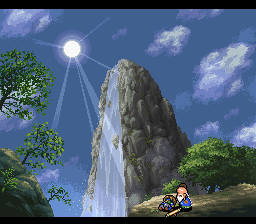 At a certain point, you can go even go back and play the first scenario, and actually beat the damn dragon that nearly killed you the first time around. If there’s anywhere that Chaos Seed stumbles, it’s in the action segments. Your default weapon is pretty short, and is practically useless unless you stick to magic, upgrade your weapon, or use alternate attacks. 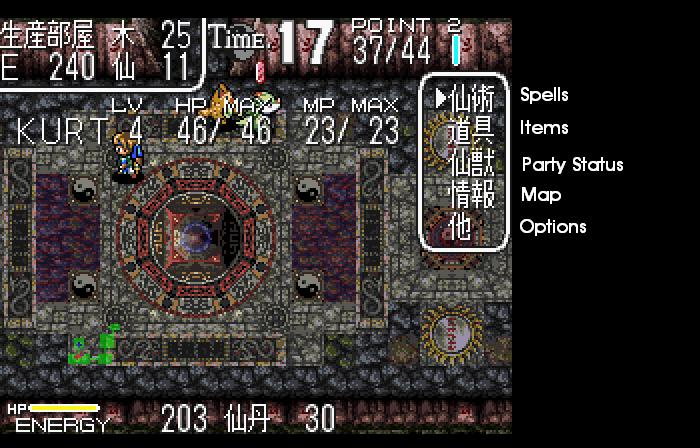 But with some of the crazier spells, sometimes the action gets so chaotic that it’s hard to tell what’s going on. 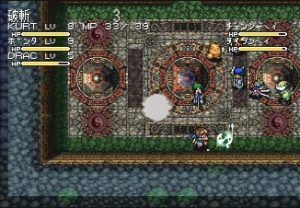 Thankfully, healing spells are in abundance, and the boss battles are rarely too hard as long as you take some time off from dungeon building to kill some baddies and level up a bit. The only other possible flaw is that scenarios can take a long time, but you can save in-between turns, so it’s very easy to take breaks. 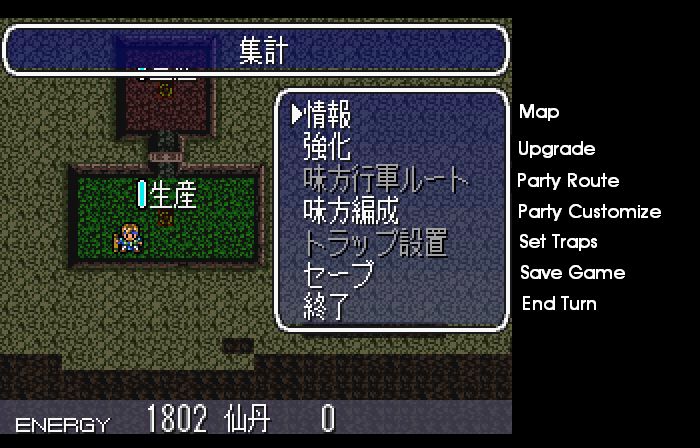 And yet, for all it’s hooks and innovations, Chaos Seed‘s primarily failing is, of course, that it’s in Japanese. 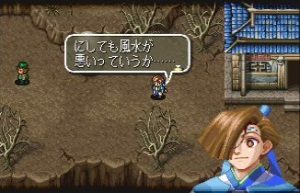 Even if you’re only slightly fluent in the language, you can get by in most RPGs, once you learn how to read items and make your way through menus. 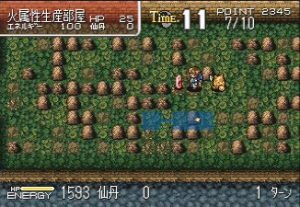 Chaos Seed is a LOT more complicated, because it expects you to know the name and purpose of every room, item, and monster. It doesn’t help that the game’s concepts are so unlike everything out there that it takes awhile to learn even if you are fluent. 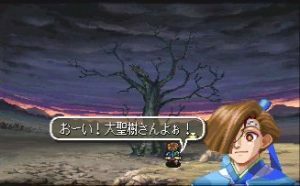 It’s certainly not impossible to enjoy the game without knowing the language, but prepare to spend plenty of time pouring over some of the excellent FAQs and memorizing at least a large handful of kanji. It takes a lot of energy and it’s frustrating until you get the basics of the game down, but once you do, it’s damn well worth it. Two years after Chaos Seed hit the Super Famicom, Neverland decided to port the game to the Sega Saturn. 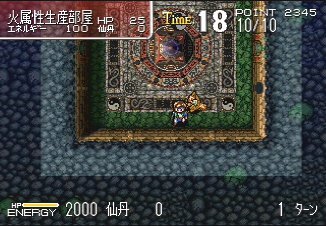 Unlike many ports of this nature, there are tons and tons of changes. 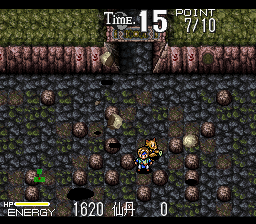 The graphics have been improved, although the difference is only slightly noticeable. Most importantly, the resolution has been increased, so you can see more on the screen and the interface can fit more text. Character portraits have been added for the story scenes. The cool Mode 7 intro from the original has been replaced with a crappy CG cutscene, unfortunately. 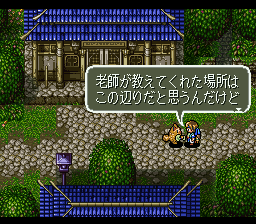 The music has been improved substantially, and the voices are not only more plentiful, but sound much nicer too. The added buttons on the Saturn controller allow for some extra functionality (like recalling the last spell used), and you can run by holding down the C button as opposed to rapidly tapping it. 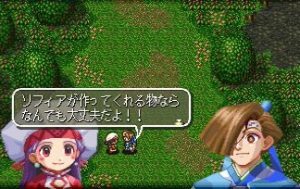 There are plenty of minor changes to some of the storyline scenes, including the reordering of events and rewritten dialogue. There are also a few new scenarios, as well as a Puzzle Dungeon, if you want to play without bothering with the storyline. The only possible quibble is that some scenarios restrict you on building the Warehouse, which artificially lengthens certain scenarios, since it restricts how much energy you can channel into the Dragon Furnace. 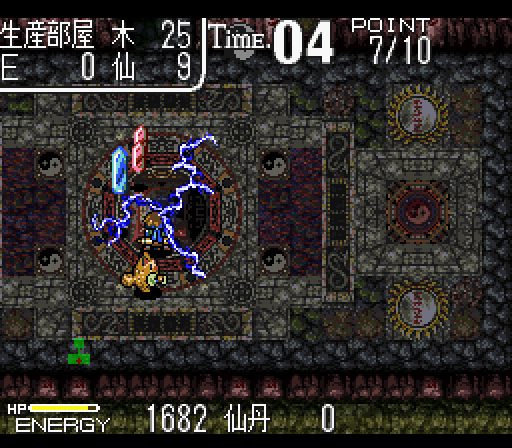 Otherwise, the Saturn port is the definitive version, though the Super Famicom version is still more than adequate. The Saturn version also features a bonus CD featuring artwork, character profiles, a card minigame, some arranged music, and interviews with the voice actors. Regardless, either version is awesome. Thanks to Dag for his amazing FAQ, which is a must-read for anyone trying to play Chaos Seed. 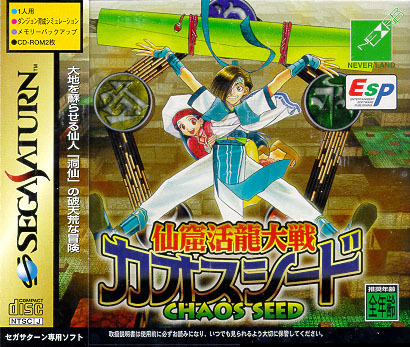 Chaos Seed Homepage A detailed review of both versions. Welcome to this Really Quick Chaos Seed tutorial. It will help you through your first dungeon, although this only covers the basics. It is vitally important that you memorize these ASAP. You’ll need to know what they are when building. Anyway, once that’s done with, you can start the game proper. You can skip the tutorial scenario if you want and go straight into the main game, although I’d advise at least playing through it to get the hang of the game. Congratulations! Here’s your first dungeon. You have one tiny Production Room and that’s it. 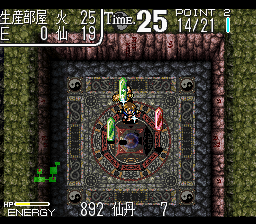 To create a room (hell, to do practically anything), you need to grab the wall by holding the grab button (same as the Run button, it’s A on the SNES controller and C on the Saturn), and then pull backwards on the d-pad. Hey! A screen popped up. 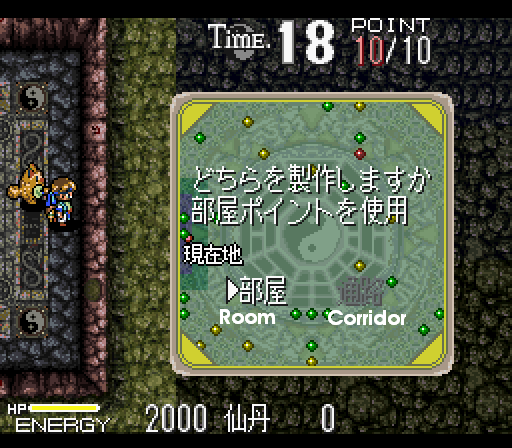 First, it asks if you want to make a room or a corridor. Most of the time you’ll be making a room, which is the selection on the left. The more yellow dots you can fit in a room, the more energy it will produce. Naturally, this is pretty important for a Production room, since producing energy is it’s primary purpose. 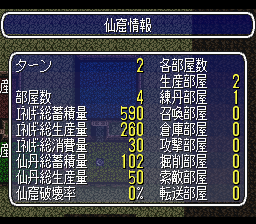 The amount of green dots in the room will affect the Sentan production, which determines how quickly you can upgrade the room. 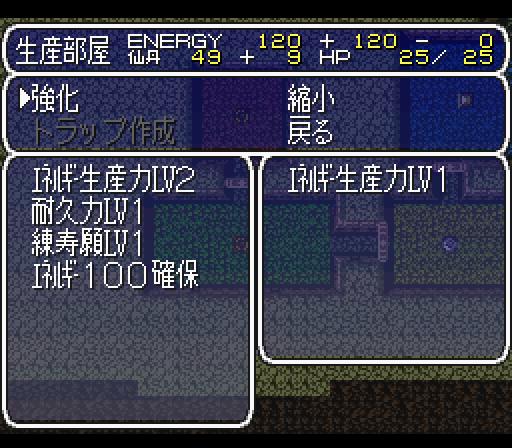 You can also carry both energy and Sentan into a room if either of these are lacking, but we’ll get into that later. Things are a little bit nicer on the south side. 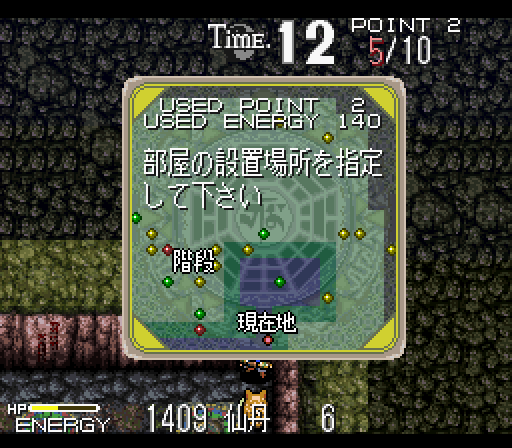 I’ve created a room that has something like four yellow Energy dots and three green Sentan dots (unfortunately this is a bit hard to see in this sections because the text blocks it.) Anyway this is a pretty prime piece of real estate, that will generate a lot of energy and be able to be upgraded relatively quickly. When you move your room around, you’ll notice that the Feng Shui symbol in the middle changes. This will determine the element of the room. Certain types of rooms are only buildable under certain elements, plus this will affect the Feng Shui, but we’re not worried about that right now. We just want a second Production Room. 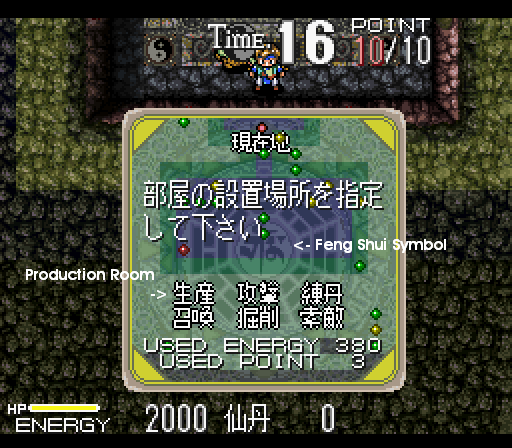 This screen tells you all of the possible rooms you can make with that symbol. Production Room is there (you memorized the kanji, right?) so select it. This is your new room. Man, what a dive. You’ll need to clean it out before you can do anything. 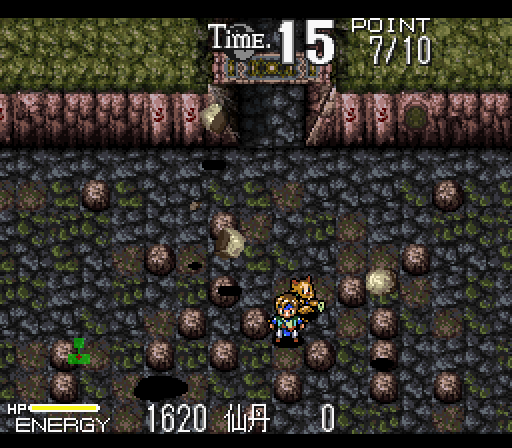 In this case, I just need to clear all of the rocks from the room. Sometimes there are minor enemies to be killed too. Hooray! This is the first room you’ve made, and your second production room. Just go to the center altar, grab it, pull away and you’ll extract the Energy crystals. The basic goal of the game is to round up as many crystals of these as possible, so you’ll be doing this practically every turn. Now we’ve got two energy Production rooms working for us. However, you’ll want to upgrade them. Problem is, even if you built the room over a bunch of green dots, Sentan production will still be relatively slow. 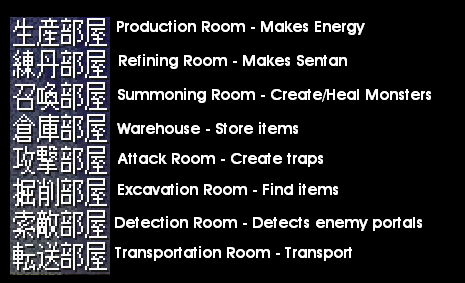 So you’ll need to create a Sentan room so you can distribute it through your caverns. 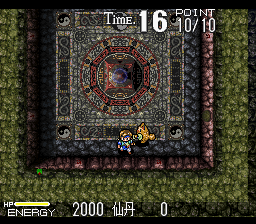 Above, I’ve created another room, cleared it out and am creating a Sentan room. 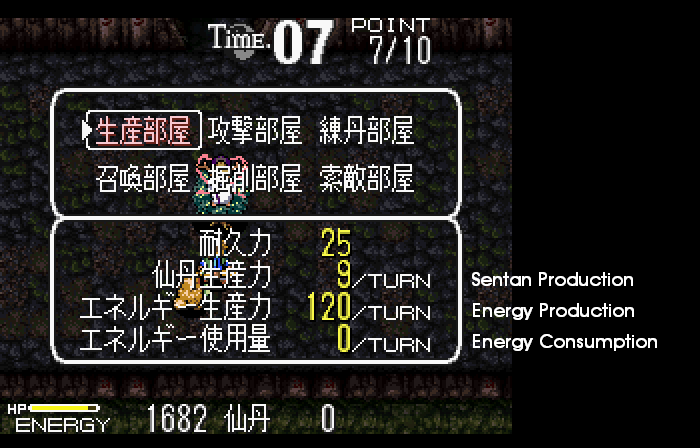 It creates 36 Sentan per turn, nice. It creates 40 energy and consumes 30, so we don’t need to worry about energy consumption….just yet. The problem is, we have no way to distribute Sentan to other rooms, we need our animal pals to do that. 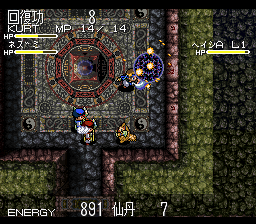 First we need to physically take some Sentan to summon a monster, so grab the altar, pull and get some of those orbs. Then create a Summoning Room. At this point, try to make another room. 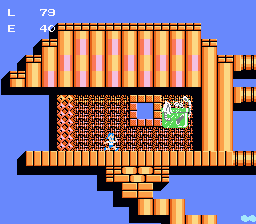 You’ll notice that there is only one possible type of room, and it’s not any of the normal ones. This means you can make a Dragon Furnace. It doesn’t need any energy or Sentan, so just put it any old place. It will create a set of stairs that leads to this room. Just enter the circle and hit A. Now you can distribute the energy that you’re carrying into the Dragon Furnance (remember! You must extract it first!) 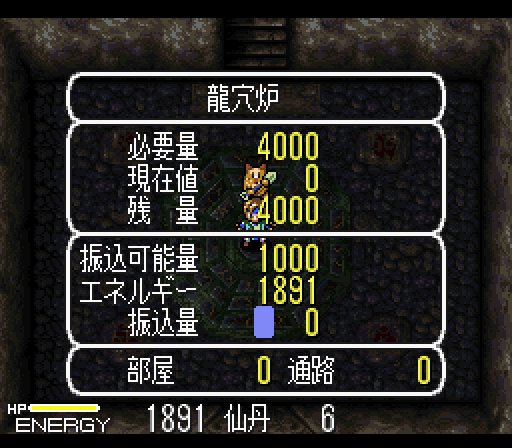 You’re supposed to give 4000 total to beat the level but can only put in 1000 per turn. Just repeat until you’ve met the requirements. At any point when the timer runs out. you get to this screen. This is the Recount Time where you can upgrade buildings, create groups of animals, send them on patrol routes, set traps and save the game. When you’re done, just hit “end” to start the next turn. 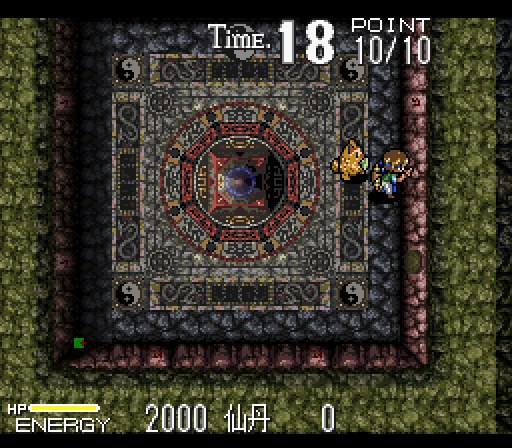 Up until the point where you build a Refinery to create Sentan or a Summoning Room for monsters, there’s really not much you can do here. If you choose Upgrade and highlight a room, you’ll get this screen. In this case, this is a Production room? See the top option that says “Energy Production LV2”? 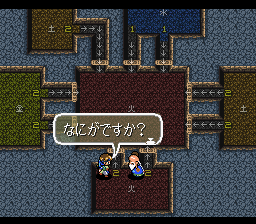 (You know your katakana, right?) That will upgrade your Energy Production. Since it’s not greyed out, I have enough Sentan to improve it. If it was greyed out, I’d need some more. Upgrading will bring up this screen. 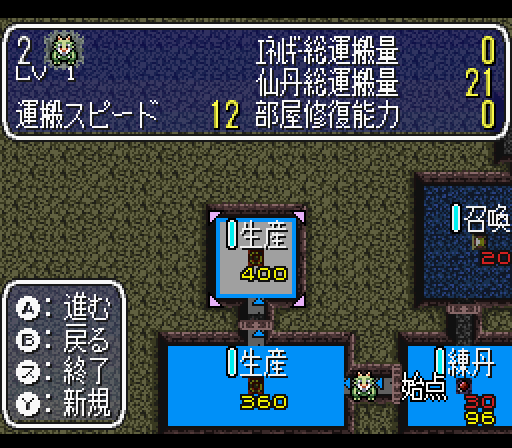 I don’t know what all of this means, but the gist of all of this is that now this Production room will generate 240 Energy per turn instead of 120. Awesome!! 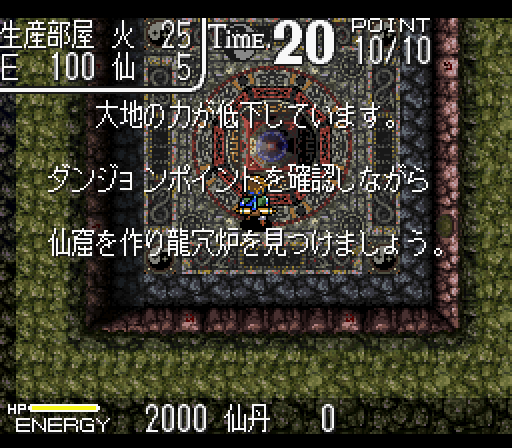 After highlighting the Sentan room and choosing to upgrade the Sentan output, a similar screen comes up. See that red negative number? That means that upgrading this room will cause the energy consumption to outbalance it’s production. This is bad. If upgraded the room will produce 54 Sentan instead of 36, but with a negative Energy yield it won’t do squat. We’ll need to transport extra energy every turn to make sure this functions properly. So let’s learn how to set routes. Setting routes is easy. See what I’ve done? 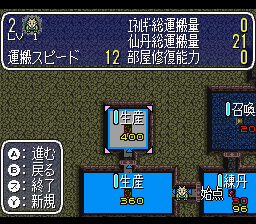 The dragon carries Sentan from the refining room and distributes it to the two Productions rooms. It will continue to run this route until you tell it to stop. This is pretty much how you keep your cave running. But wait! 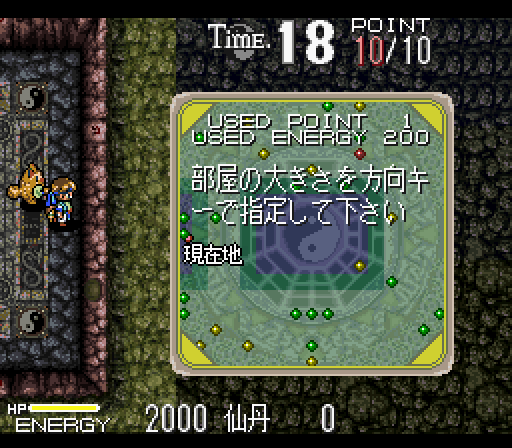 The Sentan room has negative energy so it doesn’t produce anything. We need the rat to join this party too, since the rat transports Energy. This way it will carry excess Energy from the Production room back to the Sentan room so it can run smoothly. Since creating another Group requires that we build another Summoning Room, we won’t bother. So I’ll just stick the Rat in Group 2. This is done on the Party Customize screen. Just choose Switch Members, highlight the rat and put it in Group 2. Great! 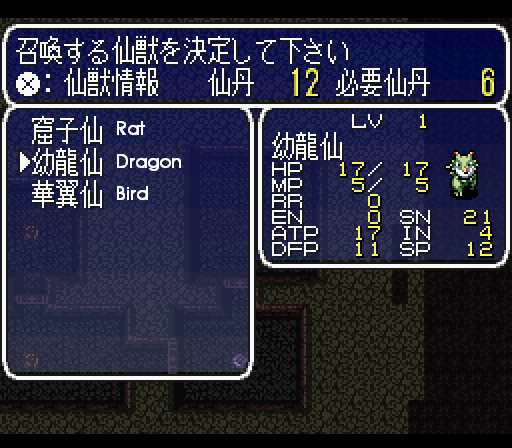 Now the rat and dragon will follow the same route, each distributing resources throughout your small cave. These are the major things you need to know about Recount Time. Sometimes enemies attack. 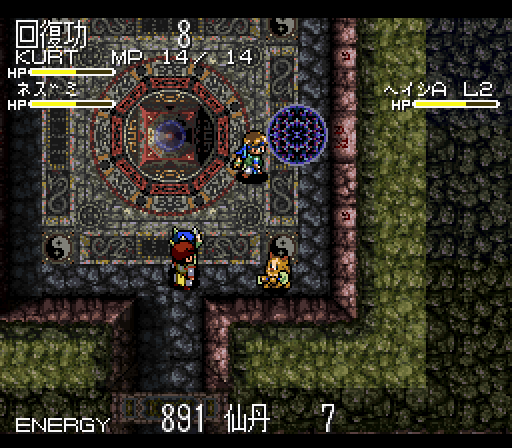 Actually pretty much every turn they’ll create portals around your cave and send bad guys in. They show up on the map, so you’ll be able to track them down. Make sure to destroy the portals to stop them from coming out! Hit X to bring up the menu. 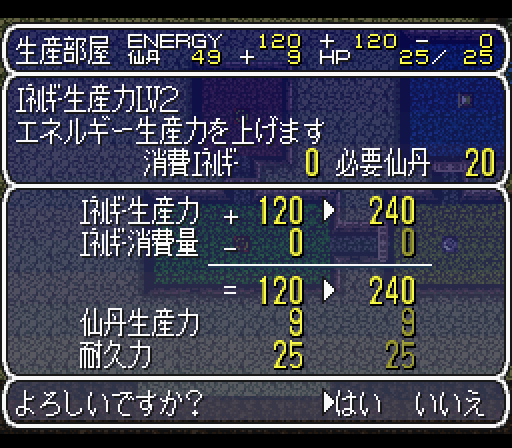 The Spells option is especially useful, because you have a healing spell right at the beginning of the game. 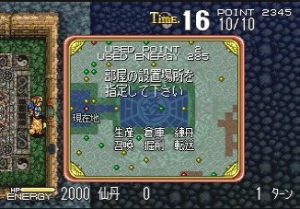 The Map is the same one in Recount Time and can be activated any time by pressing the L button. 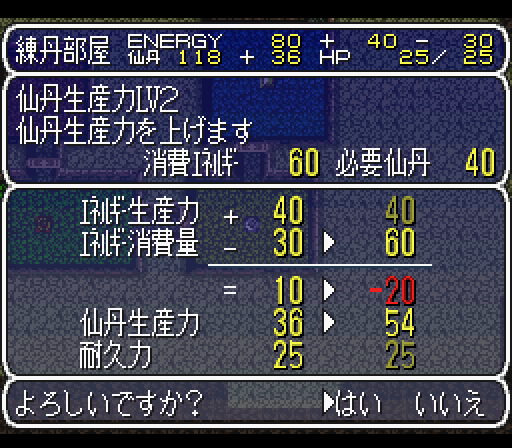 And those are the basics of Chaos Seed.